Consumers have historically been happy to hand over personal data in exchange for value. But the rise of advanced analytics and the Internet of Things is bringing us to a point where they could well value their privacy more. Capgemini Australia’s head of data and insights, Frank Windoloski, recently caught up with CMO to discuss the balance between privacy and the explosion of data and analytics capability, and where the tipping point will be for consumers between personalised marketing and engagement, and brands crossing the line. Windoloski is responsible for the consulting firm’s analytics practice in the region and across A/NZ. His 20-year career has trammelled the analytics arena from the early days of business intelligence to today’s big data capabilities, and also included a foray into security. According to Windoloski, customers have traditionally been OK sharing personal data with organisations in an adhoc, subtle way, a trend that started from the first customer loyalty programs. “When the first retailer came up with a loyalty program, it was a simple proposition of giving you a card, and you’d agree for them to take your data for 5 per cent off purchases. Most of us agreed to that,” he said. Similarly, Google’s offer of free email accounts to consumers in exchange for reading the contents of their emails was largely accepted too, Windoloski said – albeit by some who weren’t aware of all the details. “But now it’s more pronounced – you’re dealing with situations where your broadband provider can tell you your full browsing history in the last five years, and declare an understanding of your personality, behaviours and desires based on that,” he said. “It feels as though it’s too intrusive. While Windoloski believed consumers will continue to give up their information in smaller-scale situations in exchange for value, the rise of the Internet of Things (IoT) and proliferation of connected devices will raise serious concerns around how organisations connect the data dots. The problems really start to arise when an organisation can unify five or six different data perspectives on the same consumer, he said. “There have been a few examples of people putting their hands up saying something is too close for comfort, but we’re not at the boundary where marketers realise they have to step back yet,” Windoloski said. But it’s coming. Windoloski noted the introduction of IP-enabled smart fridges that will be able to tell us when we’re out of a particular product. While this in itself might be perceived as useful, uniting that data with intelligence from other devices around the home may well not be. “If you combine that with a smart meter and the electricity company also knowing what’s going on in your fridge, and your broadband provider, who’s telling you what’s going on in your Web browsing, consumers could push back,” he said. To what extent this data is used in product pricing could raise additional concerns. One of the challenges is the lack of awareness around how much personal data is being given away. As Windoloski pointed out, many consumers don’t realise the array of data collection going on through digital activities, from game playing on Facebook to mobile apps. As a result, he predicted governments will become more active in regulating use of individual data. “The IT industry speaks loudly and clearly on this and the feeling is consumers in the marketplace will regulate because governments have not been terribly effective in regulating,” Windoloski said. “It’s largely due to the fact that innovation in the IT industry moves so much faster than any government could. 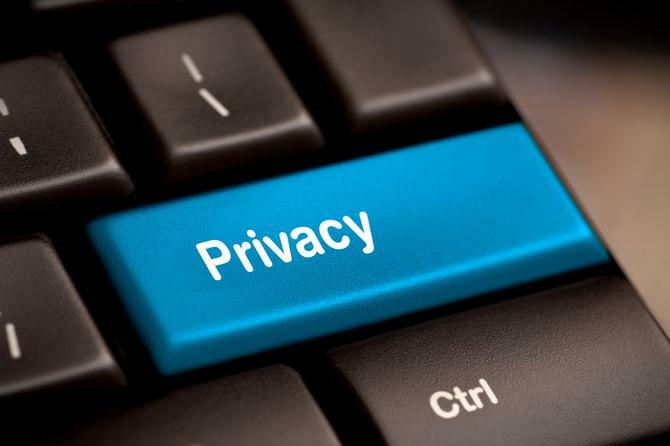 Organisations are largely well aware of protecting consumer data, and as Windoloski agreed, often have robust privacy governance processes already in place. In addition, organisations putting up business cases for new products or technology enablement usually discuss privacy in terms of compliance with existing regulations. In a similar vein to direct marketing, where marketers are able to send campaigns to certain postcodes but not to a particular individual, regulation around where you can quantify data on a consumer digitally will inevitably have to be put around things like credit card transaction data, Windoloski added. “The power of it is obviously enormous. It’s that level of sophistication that will start driving out some more regulation,” he said. According to Windoloski, what has kept organisations somewhat safe from consumer backlash so far is their unsophisticated approach to utilising the massive treasure troves of data they have. As a case in point, he highlighted banking institutions sitting on “a mindboggling amount of data”. “If you have a mortgage and credit card, and a bank knows you don’t have a car loan with them, they’ll advertise to you to try and encourage you to consider them for a car loan. But it’s still fairly simple propositions,” he claimed. “Yet that organisation has all your credit card transactions for the last four or five years. Sophistication in analytics is building rapidly, however, and it is going to quickly expose the fact that the data organisations have will be intimidating for many, Windoloski said. “Right now, the sophistication is at a level where still feels friendly and we’re accepting of it. When it becomes a little more all-encompassing, I don’t think it’ll remain that way,” he said. For Windoloski, banking and insurance companies have a leading role in analytics thanks to the data sets that hold. But he also flagged the utilities industry, specifically electricity companies, as another transformative player. Utility companies are also already heavily invested in analytics, largely around asset management. By turning that capability around to the data coming out of the explosion of IoT, these organisations will gain a whole new data role, Windoloski claimed. Another more obvious data-driven sector is insurance. Windoloski noted several insurance companies are talking about wearable technology and its impact on premiums. “If you wear an Apple iWatch or a FitBit band that could tell me how many how many steps you take each day. My actuarials could determine that if you take a certain number of steps each day, you’re healthier therefore I can offer you an insurance premium that’s lower than your peers because you’re more active,”he said.